Google rolled out their +1 button today. So I added it here. You’ll find it below all the posts. Try it out. Here’s the simple-stupid plugin I wrote to do it. While you can just edit your theme, I like making these sort of things into plugins. That way, I can turn them off at will, and I know exactly where to go to change them without having to dive into my theme code. Also, if I change themes, the code still works on the new theme. Description: Add a +1 button after the content. I wrapped the button in a div so that I could style it. In my particular case, I’m floating it right and giving it a margin, same as the Twitter and Facebook plugins. One day, I’ll make all these little Google plugins more generic and configurable, and roll them into a Simple Google Connect plugin. One thing I don’t like is that the +1 button only works for people who are logged into a GMail account. Sorry Google Apps users, you’re out of luck. Complain to Google until they fix it. Saw a few tweets by @lastraw today, asking Matt and others if they could make the Add Audio function in the WordPress editor work. Well, @lastraw, the audio function does actually work, it just doesn’t do what you expect it to do. Basically, the WordPress uploader does provide a few different kinds of uploader buttons: image, video, audio, and media. All of these buttons behave in different ways. The Audio button in particular lets you upload an audio file, and then insert a link to that file in your post. However, the link it inserts is just a bare link. This is because WordPress doesn’t come with a flash audio player, and HTML 5 hasn’t gotten standard enough to allow sane use of the <audio> tags. Still, plugins can modify things to make audio files embed. I just wrote a quick plugin to take those bare audio links and turn them into embedded audio players using Google’s flash audio player. This is the same player they use on Google Voice and in several other locations in the Google-o-sphere. How did I do that? Easy, I activated my plugin, then used the Add Audio button to just insert the plain link to my audio file (which I uploaded). Naturally, this audio player will only show up on your site. People reading through an RSS reader or some other method won’t see it, they’ll just see the plain audio link and can download the file. Couple limitations on this: It only handles MP3 formats. You could conceivably use a player that could handle more formats, I only made this as an example. MP3 is the most common format in use anyway, and I didn’t want to go searching for a more complicated player to use. Also, I made it only handle links on lines by themselves. If you put an audio link inline into a paragraph or something, it won’t convert it. Here’s the plugin code if you want to use it or modify it or whatever. It’s not the best code in the world, but then it only took 5 minutes to create, so what do you expect? This is mainly intended as a demo. There’s more full featured plugins for this sort of thing in the plugins directory. If you need to embed audio, using one of them might be a better way to go. Google Apps has always been a bit of a black sheep in the Google account system. If you had an email on a Google Apps system, then it was kinda like a Google account, except not really. Some of the features were the same, some were not. What made it more confusing is Google’s tendency to create a separate Google account using your email address, which meant data sharing across the two was broken and tricky to work with. So most users ended up maintaining two separate Google accounts, which annoyingly had the same email address/username (unless you added GMail to one, in order to get access to Buzz, which then made it forced to have a gmail account as the primary email). But recently, Google has been making efforts to pull these systems together into a more unified whole. They started off with the multiple account sign in features, which works, but is pretty lame. Having to choose which account you’re on throws all the complication back on the user. 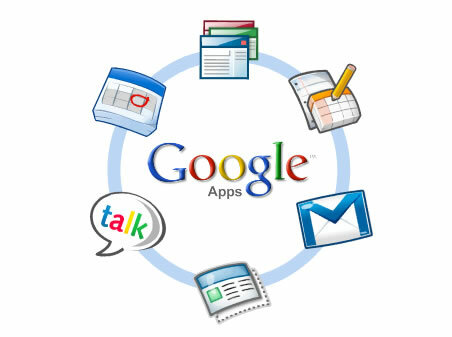 A better way is to simply make all Apps accounts into full-fledged Google accounts. They’ve taken this step and now (some) Google Apps administrators can choose to integrate their Apps account into the larger Google account-o-sphere. I did this the other day, and while it’s taken a bit of effort, I’m now starting to pull all my information over into this new, fully-capable, Google account. So this post is just a few notes on the process of migrating from two accounts to one, as I do it. Note: This is disorganized and random. I’m just making notes here. Read them if you like. – Don’t use the multi-sign-in thing. It makes things really confusing. – Change your passwords on one of the accounts. I noticed that when I had the same password on both of them, sometimes I’d log into a Google property and it would log me in using the wrong account. With different passwords, that stopped happening and I started getting in on the correct account, based on the email I gave, every time. Basically, it appears that the migration process changes your old GMail-account which was tied to your old non-gmail based address to use an account on gtempaccount.com. Using this, it can still recognize your old email address as being on that account, if the password fits. By having different passwords, it can’t do that and thus you get the correct account for the email you’re signing in as. – YouTube accounts can be delinked from one Google account and relinked to the other Google account. Check the account settings page on YouTube. Yes, I know they say YouTube won’t work on the Apps accounts. It does. I did it. – Google Voice accounts *CAN* be transferred to non-gmail based Google accounts. This link works: http://spreadsheets.google.com/viewform?formkey=cjlWRDFTWERkZEIxUzVjSmNsN0ExU1E6MA . Even though it says there that it will not work with a Google Apps account, it *will* work if you’ve migrated your Apps accounts into the general system. I did it, and if you do it, make a note saying that the account migration had been done. They transferred it over just fine. Took about an hour for me. Probably will take longer for them to get to you. – Chrome Sync works on the new accounts, just go into Chrome, disconnect the sync, then reconnect it to the new account. – If you use Reader, you can export your subscriptions from one as an OPML file, then reimport them to the new Reader account. Although your followers *seem* to transfer, there may be an issue there as I always get errors when commenting on shared posts. 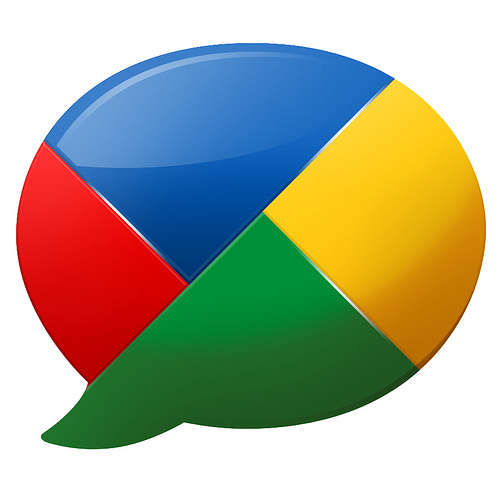 – Google Talk works fine, but you need to sign it out then back in to the new account. – AdSense can’t migrate. You’ll have to close your old AdSense account and create a new one on the new account. – Strangely enough, somehow in this process, Wave got added to my Google Apps account. Which is weird, as I thought they killed that. Not that it matters or anything, just thought it was unusual. – One HUGE benefit: The new Google Chat. A few days ago, they rolled out “call by phone” to Google Chat. You can call anywhere in North America for free through Google Chat on your GMail. While they didn’t roll this out to normal Google Apps accounts (yet), they did roll it out to migrated Google Apps accounts. I got it in my GMail today and used it to talk to my mom. She said the voice quality was fine. Afterwards, I signed into Google Voice and lo and behold, my GChat was available as a Google Voice forwarding account! So now if I’m on GMail (which I always am) and you call my Google Voice number, I can answer through the computer. How awesome is that? This is not final. I will be updating this post as needed. I’m just posting it now so that people can benefit from it now. I’m working on a Simple Google Connect for the future. But for now, here’s a simple Buzz Button using the functionality they announced today. Description: Adds a Google Buzz button to your content. * @param int $post_id An optional post ID. * Example use: buzz id="123"